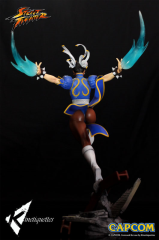 in Street Fighter II. 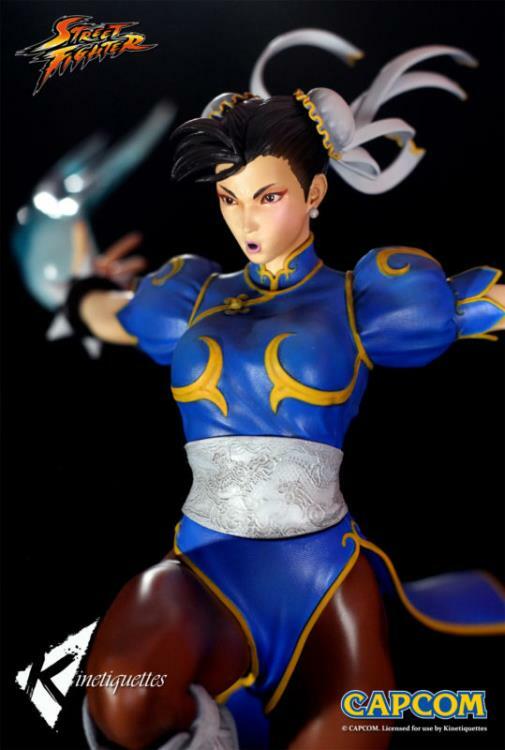 The first female fighter in the series, she is an expert martial artistand Interpol officer who relentlessly seeks revenge for the death of her father at thehands of M. Bison. 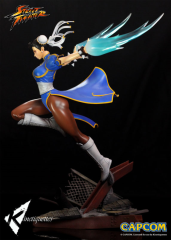 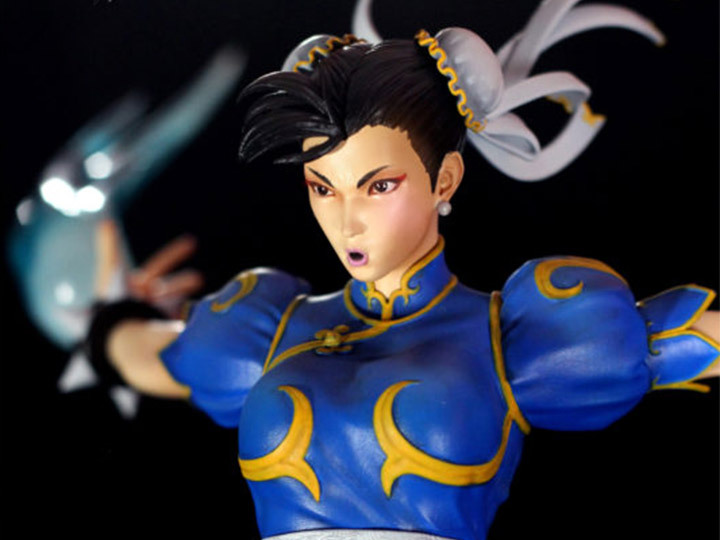 This is a diorama which depicts Chun-Li performing her devastating Kikosho move. 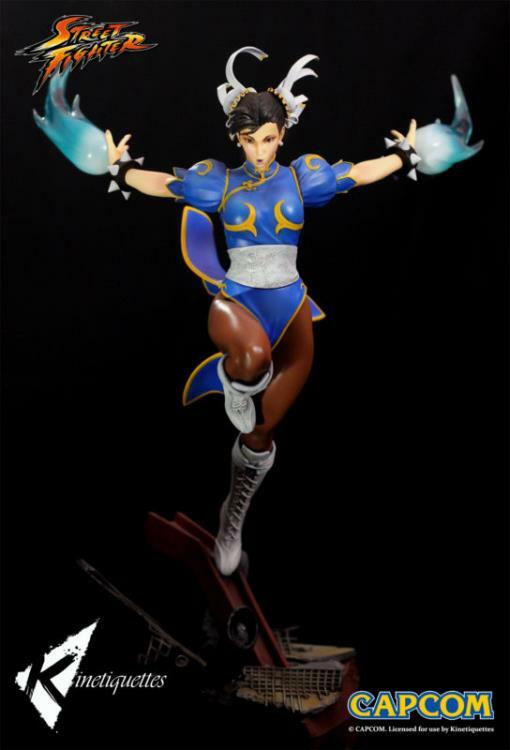 It is part of the Femmes Fatales line which shows her fighting against Juri and Cammy (sold separately) on the construction stage from Ultra Street Fighter IV. The diorama is inspired by the iconic opening cinematic of the game showcasing her in a dynamic pose with an intricately detailed base.